In this article, we will talk about some Top mobile phones under 11000 accessible in India. 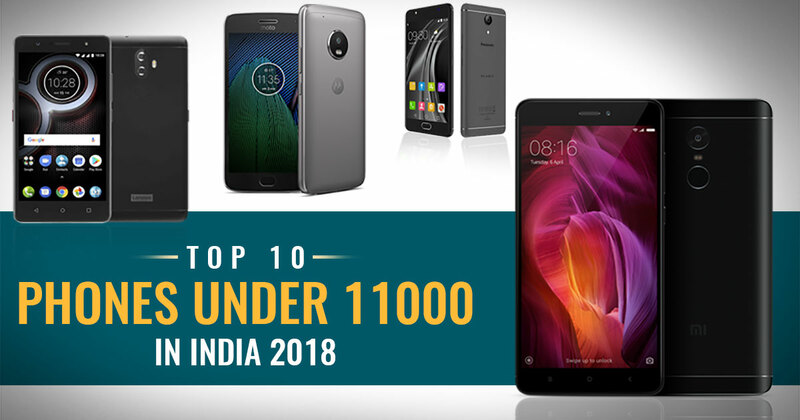 People have certain and limited budget to buy smartphones, but if you have more budget then you can check our best phones under 10000 list or if you have low budget then do check our best phones under 13000 guide. So let us suppose that you have a strict budget of 9000 then keep reading our post. These smartphones offer the best specifications and top performance this budget can get you including features such as 4GB RAM, 4,000+ mAh battery, octa-core processor and Android 7.0.1 (Nougat). All these smartphones support 4G networks and come with a decent camera. Also, the top phones in this budget don’t necessarily hang or slow down when you need them not to. Also, check the best 10 phones under Rs 10,000 and the top phones under Rs 9,000. 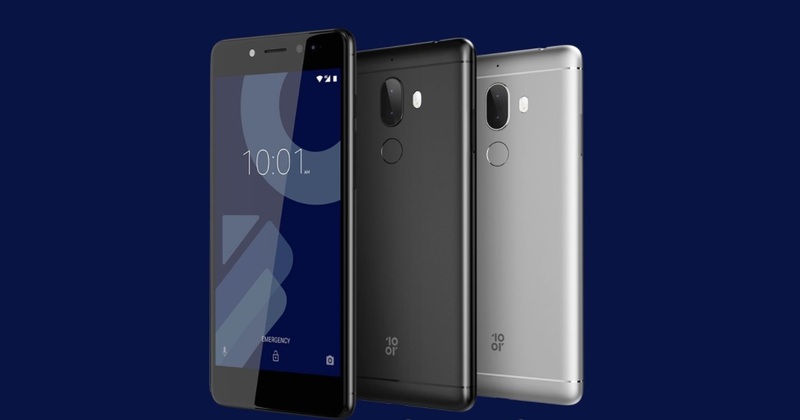 The 10.or G (Tenor) smartphone runs Android 7.1.2 (Nougat), upgradable to Android 8.0 Oreo and is powered by a 4000 mAh, Non-removable Li-ion battery. The 10.or G is a dual SIM phone that accepts Nano-SIM and Nano-SIM. The device connectivity options include Wi-Fi (Wi-Fi 802.11 b/g/n), USB (micro USB v2.0), GPS, FM, 3G, and 4G. The 10.or G (Tenor) phone comes with a 5.50-inch IPS LCD capacitive touchscreen display with a resolution of 1080 pixels by 1920 pixels. 10.or G (Tenor) price in India starts at Rs. 9,999. The 10.or G (Tenor) is powered by 2.2GHz Octa-Core Snapdragon 626 Mobile Platform with Adreno 506 GPU processor and it comes with 3/4GB of RAM. The smartphone packs 32/64GB of inbuilt storage that can be expanded up to 256GB via a microSD card. The device packs a 13+13 MP primary camera on the rear and a 16 MP front shooter for selfies. The Lenovo K8 Plus comes with a 5.20-inch IPS LCD capacitive touchscreen display with a resolution of 1080 pixels by 1920 pixels. The smartphone is powered by Octa-core 2.5 GHz Cortex-A53, MediaTek MT6757 Helio P25 processor and it comes with 3/4GB of RAM. The device packs 32GB of inbuilt storage that can be expanded up to 128GB ((dedicated slot)) via a microSD card. 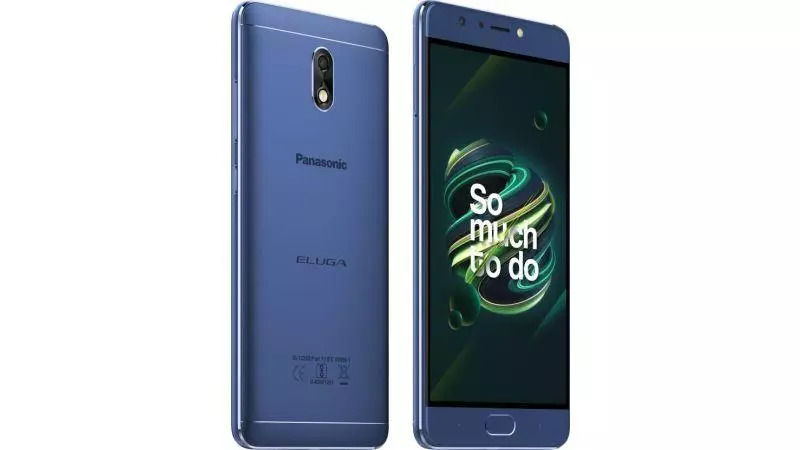 The handset packs a dual 13 MP + 5 MP, phase detection autofocus, dual-LED dual-tone flash primary camera on the rear and an 8 MP front shooter for selfies. The Lenovo K8 Plus phone runs Android 7.1.1 (Nougat), planned upgrade to Android 8.0 (Oreo) and is powered by a Non-removable Li-Po 4000 mAh battery. The K8 Plus is a dual SIM phone that accepts Nano-SIM and Nano-SIM. The handset connectivity options include Wi-Fi 802.11 b/g/n, Wi-Fi Direct, hotspot, GPS (Yes, with A-GPS), Bluetooth, USB OTG, FM, 3G, and 4G. 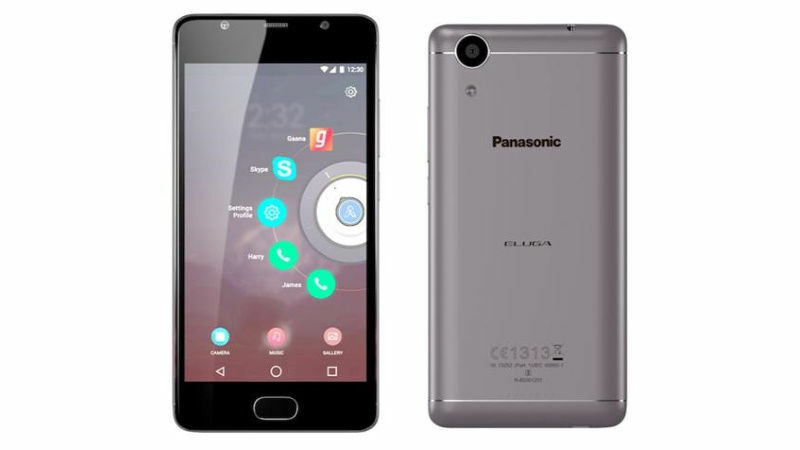 The Panasonic Eluga Ray Max phone was launched in March 2017. The device comes with a 5.20-inch IPS LCD capacitive touchscreen display with a resolution of 1080 pixels by 1920 pixels. The phone runs Android 6.0 (Marshmallow) and is powered by a non-removable Li-Ion 3000 mAh battery. Panasonic Eluga Ray Max price in India starts at Rs. 10,499. The Eluga Ray Max is powered by Octa-core 1.4 GHz Cortex-A53, Qualcomm MSM8937 Snapdragon 430 processor and it comes with 4GB of RAM. The handset packs 32/64GB of inbuilt storage that can be expanded up to 128GB via a microSD card. The device packs a 16 MP, autofocus, LED flash primary camera on the rear and an 8 MP front shooter for selfies. Redmi 4 comes with a 5.00-inch IPS LCD capacitive touchscreen display with a resolution of 720 pixels by 1280 pixels. The smartphone is powered by Octa-core 1.4 GHz Cortex-A53, Qualcomm MSM8940 Snapdragon 435 processor and it comes with 2/3/4GB of RAM. The handset packs 16/32/64GB of inbuilt storage that can be expanded up to 256GB via a microSD card. The Redmi 4 phone packs a 13 MP, phase detection autofocus, LED flash primary camera on the rear and a 5 MP front shooter for selfies. 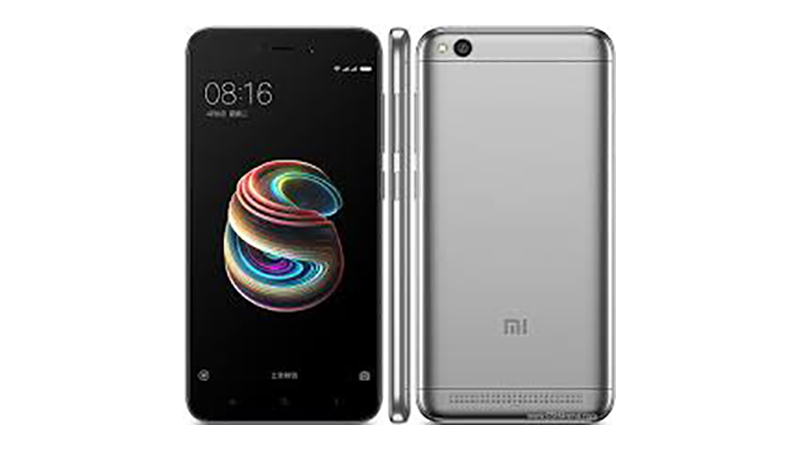 The Xiaomi Redmi 4 runs Android 6.0.1 (Marshmallow), upgradable to 7.1.2 (Nougat) and is powered by a Non-removable Li-Po 4100 mAh battery. The Redmi 4 is a dual SIM phone that accepts Micro-SIM and Nano-SIM. The handset connectivity options include Wi-Fi 802.11 b/g/n, Wi-Fi Direct, hotspot, GPS, Bluetooth, Infrared, USB OTG, FM, 3G, and 4G. Sensors on the phone include the compass, fingerprint (rear-mounted), accelerometer, gyro, proximity. 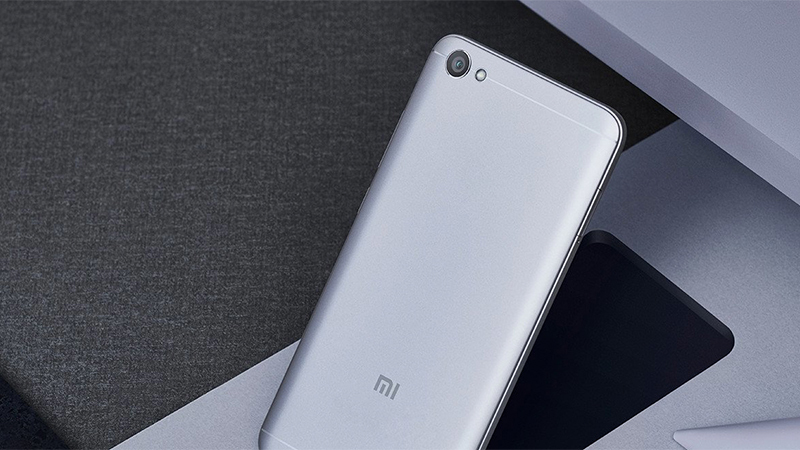 The Redmi Note 4 is powered by Octa-core 2.0 GHz Cortex-A53 processor and it comes with 2/3/4GB of RAM. The phone packs 32/64GB of inbuilt storage that can be expanded up to 256GB via a microSD card. The handset packs a 13 MP, phase detection autofocus, dual-LED dual-tone flash primary camera on the rear and a 5 MP front shooter for selfies. 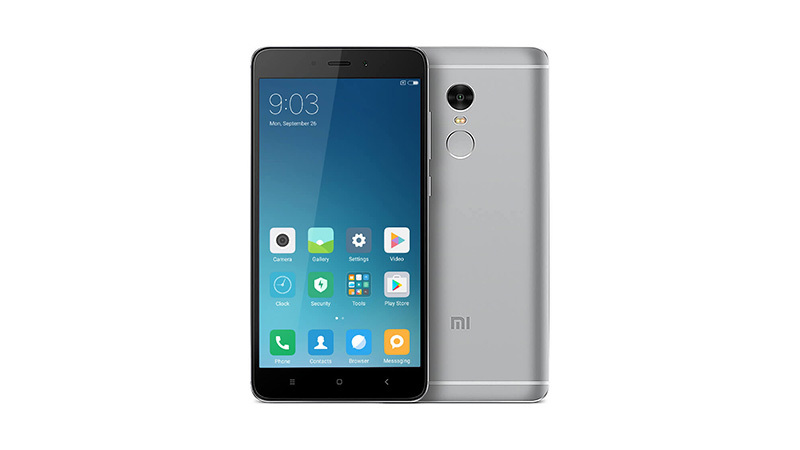 The Redmi Note 4 phone comes with a 5.50-inch IPS LCD capacitive touchscreen display with a resolution of 1080 pixels by 1920 pixels. The Xiaomi Redmi Note 4 runs Android 6.0 (Marshmallow), upgradable to 7.0 (Nougat) and is powered by a Non-removable Li-Po 4100 mAh battery. The Coolpad Note 5 is powered by Octa-core (4×1.5 GHz Cortex-A53 & 4×1.0 GHz Cortex-A53) processor and it comes with 4GB of RAM. The device packs 32/64GB of inbuilt storage that can be expanded up to 128GB via a microSD card. The Note 5 packs a 13 MP, autofocus, LED flash primary camera on the rear and an 8 MP front shooter for selfies. 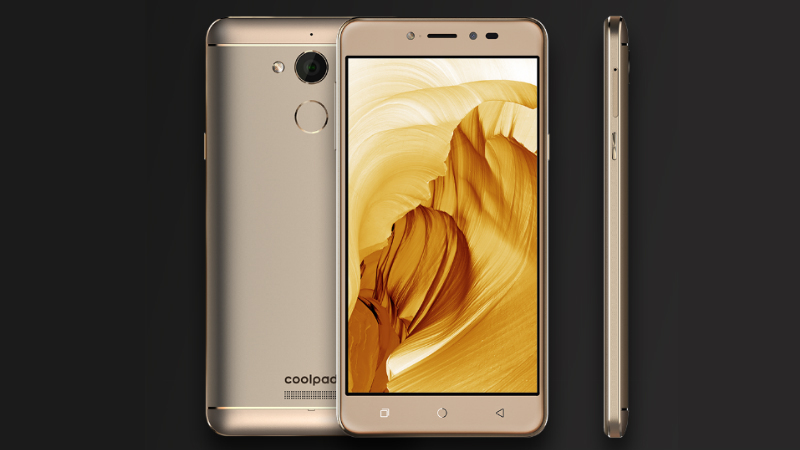 The Coolpad Note 5 runs Android 6.0 (Marshmallow) and is powered by a Non-removable Li-Ion 4010 mAh battery. The Coolpad Note 5 is a dual SIM (GSM and GSM). The smartphone connectivity options include Wi-Fi 802.11 b/g/n, hotspot, GPS, Bluetooth, USB OTG, FM, 3G, and 4G. The smartphone includes Fingerprint (rear-mounted), accelerometer, proximity, compass. 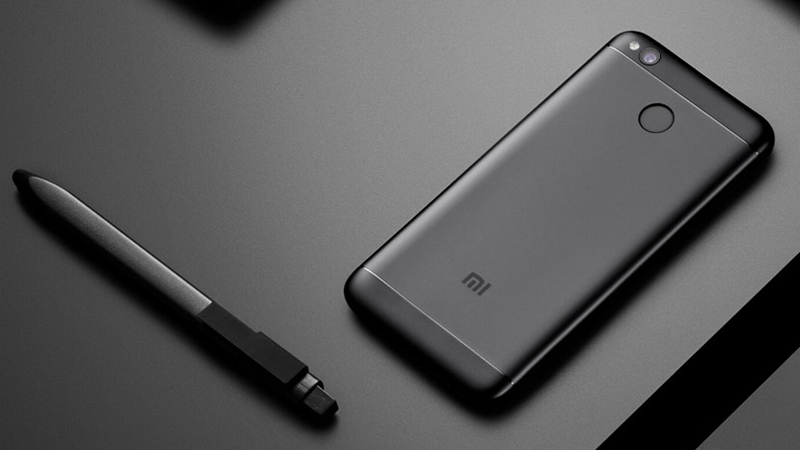 The Xiaomi Redmi Y1 Lite phone runs Android 7.0 (Nougat) and is powered by a Non-removable Li-Ion 3080 mAh battery. Redmi Y1 Lite phone was launched in November 2017. The device comes with a 5.50-inch IPS LCD capacitive touchscreen display with a resolution of 720 pixels by 1280 pixels. Redmi Y1 Lite price in India starts at Rs. 7,849. The Redmi Y1 Lite is powered by Quad-core Cortex-A53 Qualcomm Snapdragon 425 processor and it comes with 2GB of RAM. The device packs 16GB of inbuilt storage that can be expanded up to 128GB via a microSD card. The Xiaomi Redmi Y1 Lite phone packs a 13 MP, phase detection autofocus, LED flash primary camera on the rear and a 5 MP front shooter for selfies. The Xiaomi Redmi 5A is a good device with a wide range of features on offer. The Redmi 5A price in India starts from Rs. 4,999. The handset powered by 1.4GHz quad-core Qualcomm Snapdragon 425 processor and it comes with 2/3GB RAM and 16/32GB internal memory, expandable up to 128GB by using microSD. The dual-SIM phone runs Android 7.1.2 and is powered by a 3000mAh non-removable battery. It packs a 13MP primary sensor coupled with a 5MP secondary camera for the selfie. The device available in three color variants – Dark grey, Gold and Rose Gold. Connectivity options include Wi-Fi, GPS, Bluetooth, Infrared, USB OTG, FM, 3G, and 4G. The Panasonic P85 is an awesome smartphone to buy. The phone was launched in May 2017 and it comes with the price tag of Rs. 6,499. The device is powered by 1GHz quad-core processor and it comes with 2GB of RAM. The phone sports 16GB of internal storage that can be expanded up to 64GB via a microSD card. The Panasonic P85 packs an 8-megapixel primary camera on the rear and a 2-megapixel front shooter for selfies. The dual SIM mobile runs Android 6.0 and is powered by a 4000mAh non-removable battery. Connectivity options include Wi-Fi, Bluetooth, Headphones, FM, 3G, and 4G. 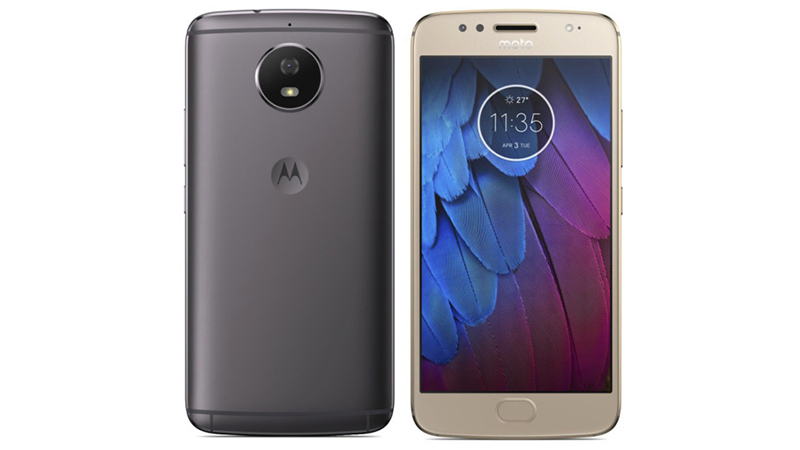 Motorola Moto G5 comes with a fingerprint sensor and has a 5.00-inch touchscreen display with a resolution of 1080 pixels by 1920 pixels at a PPI of 441 pixels per inch. The phone is 1.4GHz Octa-core processor with 3GB of RAM and 16GB of inbuilt memory storage, expandable up to 128GB using microSD card. The Motorola Moto G5 packs a 3-megapixel primary camera on the rear and a 5-megapixel front shooter for selfies. The dual-SIM phone runs Android 7.0 and is powered by a 2800mAh removable battery. On the connectivity options include Wi-Fi, GPS, Bluetooth, USB OTG, FM, 3G, and 4G. Sensors on the phone include the Proximity sensor, Accelerometer, Ambient light sensor and Gyroscope.